While adults might have problems understanding how AI works, it can be easily learned by children. We can foresee that education in the future will be a lot different than it is today. It is not possible to keep up with the speed of technology. As technology continues to speed up, the meaning and value of knowledge continues to change. The world's leading futurists estimate that the cognitive and creativity capacity of human beings will be at the center of education in coming years and that children who can constantly convert learning and learning process into creativity will be the most successful. Therefore, providing preschool children, aged 5 and 6, with a coding education is accepted to be one of the biggest future investments for Turkey, just like the rest of the world. Schools and institutions that provide coding education, especially STEM (Science, Technology, Engineering and Mathematics) schools, mention that parents and their children are competing to receive this education. 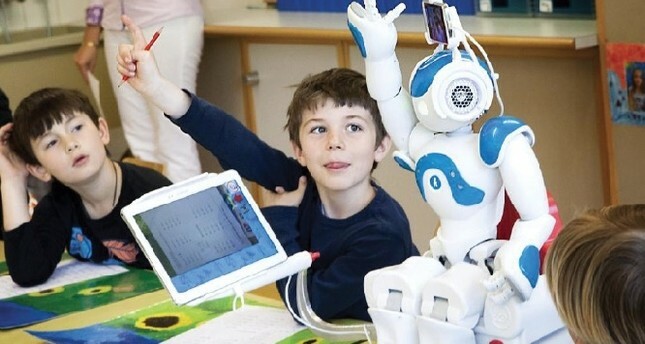 Writer, instructor and programmer Zafer Demirkol, who drew the map of coding education in Turkey in his book "Coding for Children," published three years ago, says that children can be taught artificial intelligence (AI) as well as coding. Demirkol gives lectures on web programming and database management systems at Yeditepe University and teaches AI to his 11-year-old son. As an instructor, he thinks that AI can be understood as long as it is explained correctly. Demirkol says that expertise is required to teach AI, which even adults have difficulty understanding, to children. On the other hand, he suggests that the key point is to master it and explain this complex subject as easily as "fishing." "The sciences and technologies that create AI require advanced knowledge of mathematics and programming. However, I do not think it is a difficult subject; rather it is a subject that cannot be explained correctly. However, one can teach any subject to any age group in an appropriate way by explaining things correctly. You need to master the subject in order to do it. Those who master a subject can simplify and enrich this subject; can transfer it in the way that others can understand. It is all about the proficiency of the instructor in the end." AI education for children is a new subject around the world. Noting that he has done some work on this subject, Demirkol added that there is no AI education for children in Turkey in real terms. Zafer Demirkol highlighted that AI education should be understood correctly by parents. "There are many AI applications but, unfortunately, there are scarcely any children education-oriented applications or tools. Children can use some of the tools/applications successfully. But that is not the point. What is important is that they should be able to understand the technologies behind it and to transform them into competencies that can produce something new. Otherwise, you will not provide AI education to children by making them talk to a chatbot or introducing a photo in a ready-made application. Therefore, I developed an application that links AI services to visual code blocks, taking a step. This way, children and beginners can develop applications with visual elements without difficulty." Demirkol added that children can be given the foundations for AI education from primary school and this education can be further shaped according to the children's interest or academic discipline in which they want a career. "My view is that real AI work can begin as of primary school. They can even start with simple works like collecting data, showing them with simple graphics and labeling the data correctly in the primary school. Work can be carried out for every level. Every year, an upper information level can be taught systematically. AI technologies can be customized according to the career that students will choose and can provide numerous advantages for their future occupation. The key point is to develop customized work for the student. If a child has a tendency for a medical career, it will be interesting for them to see that the examples, practices and applications that you can do are in this axis. Or, if they have a tendency for sports, applications in this subject can be developed, and the technologies behind it can be transferred to the student in an attractive way," he said. Zafer Demirkol, who emphasizes that the concept of business will gain another meaning in the future with the advancement of cognitive technologies that AI has developed and human cognitive skills, believes that human cognitive abilities will develop in a more creative direction in the near future. "Human intelligence and processing power will be carried to a very different dimension with a number of auxiliary technologies. It is difficult to predict the world of a person who will have such a mind with our current mind. But it seems that we will have a lot of free time in the future. And there is no other way to fill this free time out of doing creative work. AI will replace any profession that can be described and identified in terms of work. These professions will be replaced by new occupations that cannot be described or in other words, based on human creativity," he stressed. Demirkol said that education will take its share from this transformation, and the general definition of education cannot keep up with the speed of today's technologies. He said that the most important two talents in the future would be "the abilities of how to learn and working together." "Learning is a process which touches all life rather than a process finished or completed at school. People who have escaped from routine jobs will create new spaces with a completely different mind that will focus on creative works. Learning through continuous feedback and new skills will be a way of life. The ability to work together will be as critical as learning to learn. Billion-dollar firms are opening their codes and work to the whole world and developers around the world are creating incredible technologies. The fact that you have great talents and brains does not mean anything by itself. The combination of these with working together and creating communication creates value. The necessary technological infrastructure already exists."